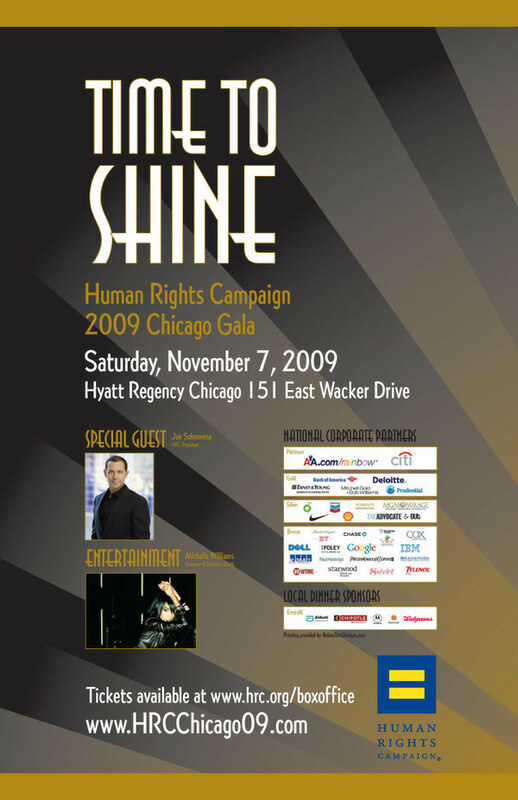 The Chicago Steering Committee of the Human Rights Campaign hosts a benefit gala every year. 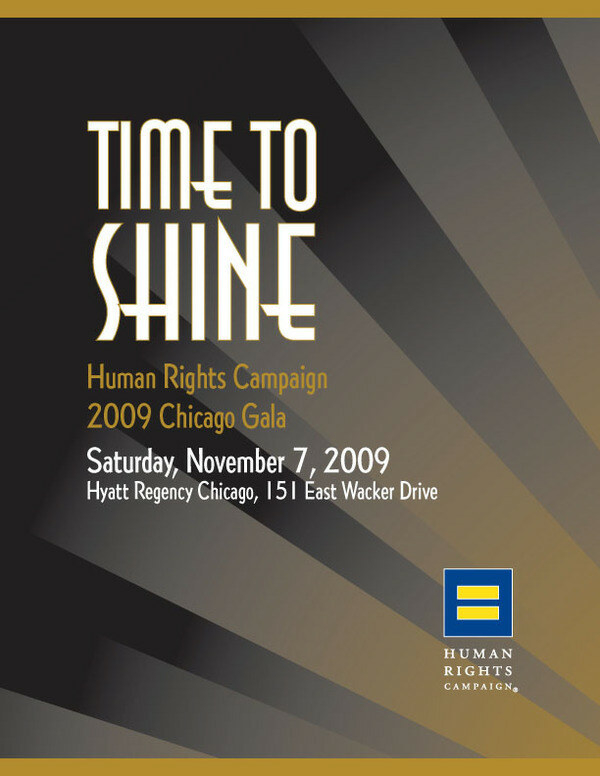 I served as the graphic designer for the 2009 gala. I developed design concepts based on the themes and concepts the committee had in mind. The final design elements were applied to all printed pieces and web graphics. Projects included save-the-date cards, invitations and the gala program booklet. Additionally, I created flyers for various fundraising parties relating to the gala.